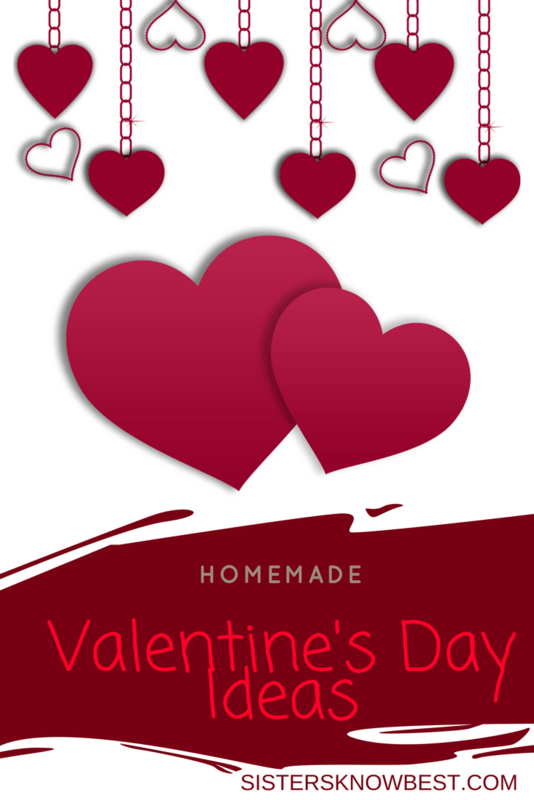 Nothing says “I love you” like easy homemade Valentines gifts or cards. They can be simple or elaborate. What matters is that they’re made with love and care for a specific person. 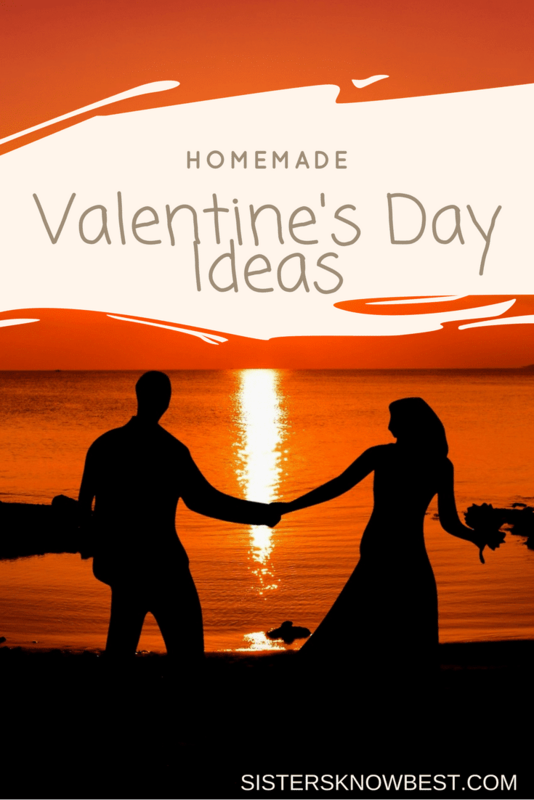 To help you get started, we’ve put together a list of some of our favorite DIY Valentines ideas. The special someone in your life will truly appreciate the effort and thought you put into making their day brighter. We love cards that are unique and have some extra dimension to them. In the store, cards with elements like that can cost almost as much as a gift! Instead, we discovered this great way to make 3-D hearts to craft a Valentine’s Day card with them. Teach your kids and help them make a card for mom, dad, grandparents, or put your own spin on it to make a card for your love. This is so much fun! Pop-up books were a huge hit with our kids when they were younger and the pop-up card makes everyone smile. Trace your hand so the one you love will have a little piece of you as part of the card. Super fun and easy homemade Valentines! This is perfect for people who love to sew! 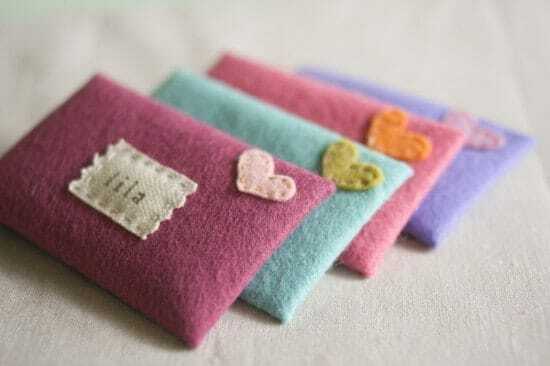 Stitch up a felt envelope or two and stash Valentine’s surprises in them. Hershey’s Kisses, Conversation Hearts, and other treats would be great! Then add to the fun by hiding them around the house and giving your sweeties clues to find them. These are super cute! We want to make a whole bouquet of lollipop flowers to decorate the table. But if that’s not your thing, they still make a cute Valentine’s card and gift for the special person in your life. Another great idea is to make enough for your child’s class at school. Just be sure you check with the teacher to ensure it’s okay to bring sugary treats to class. What most people want more than anything is the gift of your time. 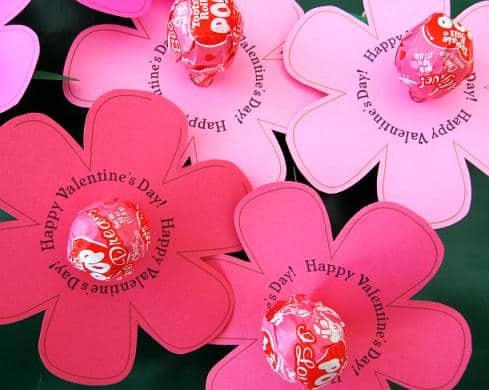 With this super cool DIY Valentine’s gift idea, you can give them just that with the added fun of a scratch off lottery ticket. 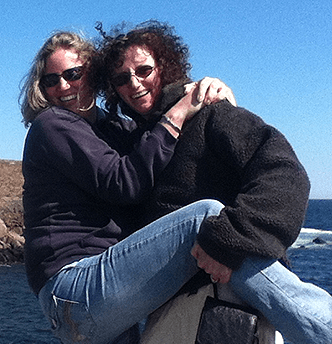 You decide what you want to give them – back massage, foot rub, etc. and hide each gift beneath the scratch off surface. Super fun, right?! Similar to our DIY Bath Bombs, these easy homemade Valentines bath bomb hearts capture the spirit of Valentine’s Day in both form and function. 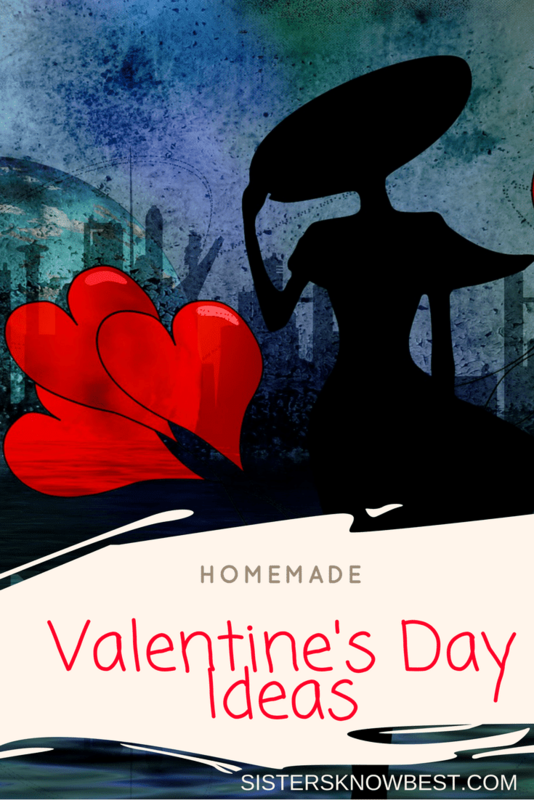 Clearly, the heart shape is pure Valentine’s day and your sweetheart will truly appreciate the sentiment of getting some alone time to relax. Moms and Grandmoms will totally appreciate this gift! 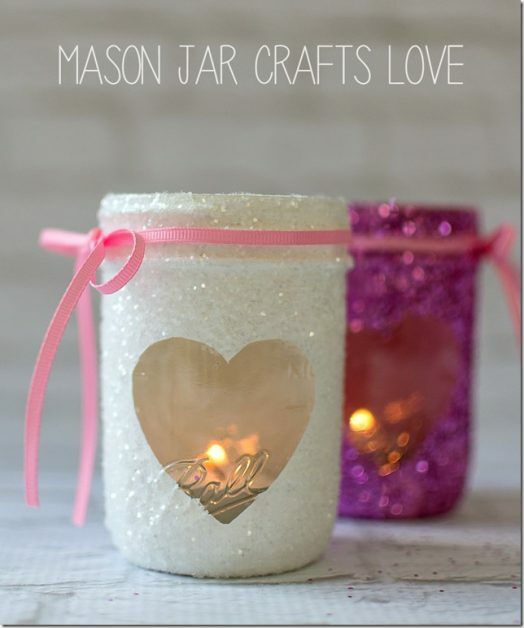 If a candlelight dinner is part of your plans for Valentine’s Day, you’ve got to check out this mason jar votive holder. It will add some sparkle to your romantic evening, and it’s super quick to make so you can easily squeeze it in while the oven preheats. Of course, you’re going to need the right decorations for Valentine’s Day. Check out this hanging flower heart. If you use faux flowers, you’ll be able to use this for many years to come. We already decorate with trees for Christmas, Easter, and Thanksgiving. Why not make one for Valentine’s Day too? We love the elegance and whimsy this adds to the room. Heck, we might just leave it up after February 14! This is the perfect Valentine’s Day card for your kids to take to school. There’s no food involved, so you don’t have to worry about allergies or school rules. Bonus: they are absolutely adorable and totally cool. Pom pom monsters are sure to be a huge hit with your kid’s class. Now get out there and share the love! Please do let us know your favorite DIY projects below. We’d love to share them with our readers!